Good things come to those who wait and on Monday, I found out it pays to have a little patience when it comes to TTMs. Back in December, when I started sending out autograph requests to some of my favourite hockey players, the very first one I sent out was to Stephane Richer. However, he was not the first one I received back. Doug Gilmour ended up being the first one I received back with a turnaround time of about 27 days. 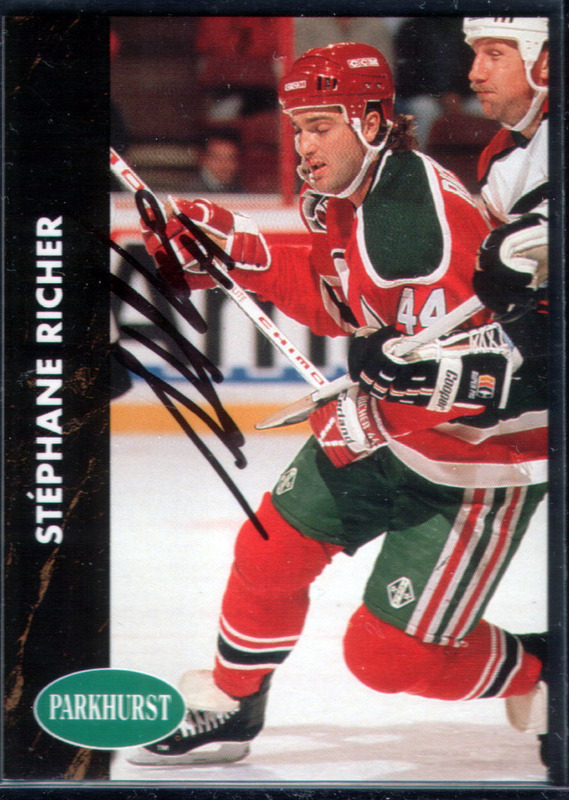 On Monday, I received the Stephane Richer request and all three cards were signed! The turnaround time on this request was 126 days. In all fairness, the request was sent through the golf course where he is currently the President, and there isn’t much golf action happening from Dec to Apr. However, this goes to show that you shouldn’t ever give up on a request. Stephane Richer was drafted in 1984 by Montreal and won a Stanley Cup in his first full season with the club which was in 1986. After the Cup win, he would score 50+ goals twice with Montreal before being traded to New Jersey in ’91 for Kirk Muller. 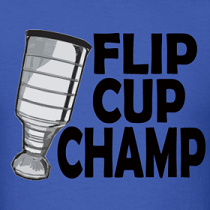 Muller would get his first Cup with Montreal in ’93 and Richer would get his second with the Devils in ’95. His role with NJ in ’95 was a huge one as he would lead the Devils in playoff points and I believe as good as Brodeur was; Claude Lemieux and Richer carried much of the offensive load during those playoffs and were the reason for the Cup win. Richer would bounce around from NJ to Montreal to TB and back to NJ. 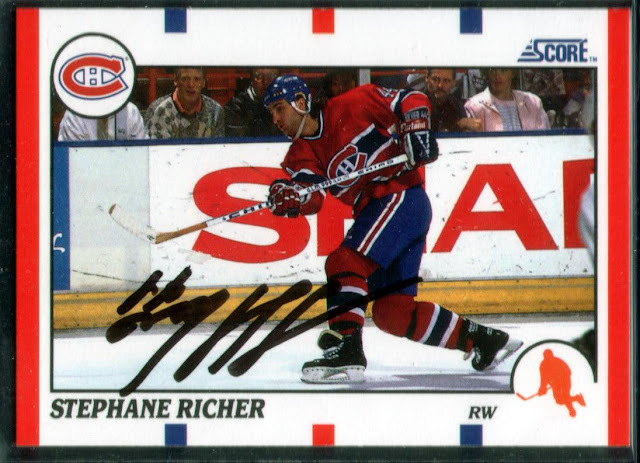 When Richer decided to call it a career he would finish with 1054 Games Played, 421 Goals, 398 Assists and 819 Points. On to the autographs, he signed all three horizontally and signed his number 44 on each card in black sharpie. 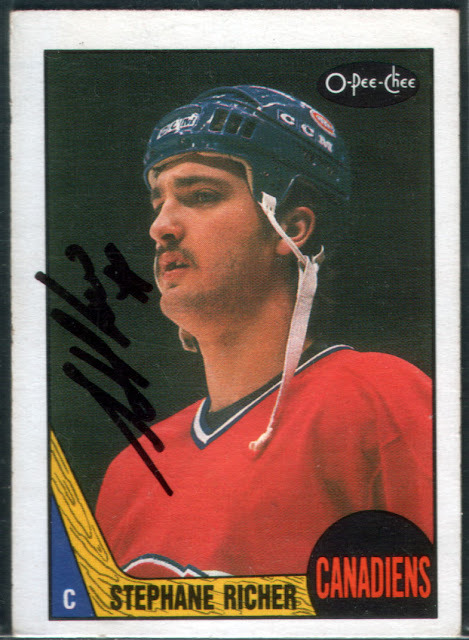 The first card I chose to get autographed was Richer’s rookie card from 87-88 OPC. This set is a cool one with rookies from Luc Robitaille, Adam Oates, Ron Hextall, Marty McSorley and Vincent Damphousse to name a few. The next card I selected was from 90-91 Score. I like the horizontal action shot of Richer. 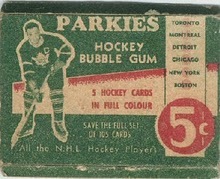 The last card I selected was from 91-92 Parkhurst. This set features Richer in a Devils uniform and was taken during his first season with the team. As you can see, he can play the game with his eyes closed! Richer seems a lot nicer than Gilbert Perrault! Richer had that bomb of a slapshot coming down the wing. He was also pretty good on that CBC tv show "Battle of the Blades"
thats a pretty terrible moustache in the first pic! If you have a rookie card and it's autographed, does that increase the value by a lot? Typically yes, especially when the card isn't in great shape like my Richer. There is no set value it is increased by, but there are people who collect autographed rookie cards and would pay a premium for it.